Since inception Geoscience BC has worked with the federal and provincial geoscience agencies to add new value to provincial regional geochemical data. In 2016, this included reanalyzing over 5,500 stream sediment samples originally taken between 1977 and1991 to show how they could indicate undiscovered minerals across British Columbia. Reanalyzed 5,579 RGS stream sediment samples using ICP-MS techniques, increasing the available data for each sample from as few as 20 elements to over 56. Provided an expanded suite of elements that can highlight geochemical anomalies that will be of interest to explorers, industry and communities. Seven NTS map sheets across BC including the Southern Rockies (2 sheets), Waddington, Whitesail Lake, McBride, Atlin and Nass River. The new ICP-MS results were released in Microsoft Excel (xls) format, packaged with the original datasets. The new data is now available for industry, government, First Nations, and communities to use and interpret. 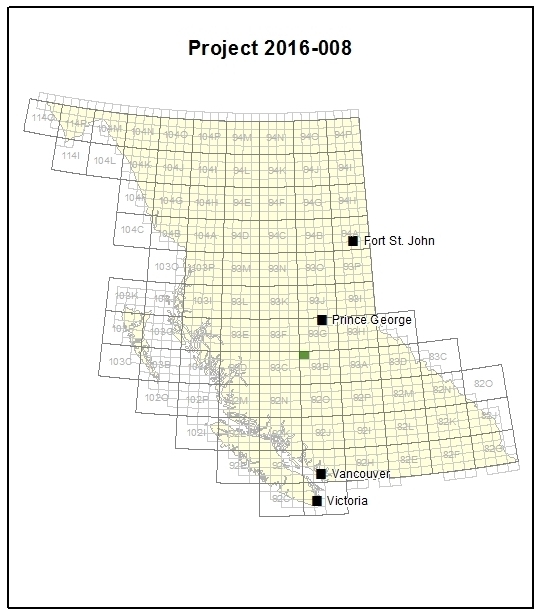 A new Geoscience BC project (2016-028) will be undertaking additional analysis of this new dataset.